recommended for: Fans of To Kill a Mockingbird by Harper Lee, The Fault in Our Stars by John Green, and sharp historical fiction. You won't get much real critique from me in this review. This is a thought-provoking, soul-wrenching, beautifully-written book. It definitely made me confront my own biases in a way I hadn't expected. Reading Linda's part of the narrative was really difficult for me. I hated her. I thought she was completely idiotic. I wanted to race through her narrative to get back to Sarah's. It struck me that I wasn't giving her a chance any more than she was giving Sarah a chance. It's a striking feeling, when a book can wrench that much emotion from you. It wasn't the only reason. Talley doesn't pull a punch. This is historical horror, plain and simple. It's a first-hand look at what is so hard to wrap your head around in history class. Sarah's perspective is sweet, a mix of frustrated innocence and tentative maturity, with a very authentic teenage-ness. I also grew to care about Linda, who experiences so much growth through the novel. The weird chunked narrative structure is a little jarring, but I'm not sure what would have been better; the dual narrative seems so crucial to the point the author is making about communication and empathy. It's not an easy book to read. The plot is full of tragedy, violence, and the worst bits of humanity. But also some of the best bits. The end leaves you with a sense of hope that doesn't erase the pain of the previous pages, but gives some closure to Sarah's and Linda's stories. I'd not hesitate to assign this to every high schooler in America. There's no time to let out a breath. You're tense from the very first page, when Sarah and her classmates are shuffling up to their first day at the white high school. The high school surrounded by white kids and parents screaming obscenities, spitting, throwing bottles. And it only gets worse. Sarah and her friends come up against every form of cruelty, from teachers outright ignoring their bullying to physical violence to threats, insults, and sexual assault. And the way Sarah describes it, part horrified, part completely unsurprised, draws it all into the sharpest relief. Within all this violence, Sarah is a normal girl trying to grow up. Her parents push her. She wants to join the choir. She's experiencing her first dates and crushes. Then halfway through, we get Linda's side of the story. Her father's abuse. Her own ambivalence. Her own secrets. Watching Sarah and Linda's evolving relationship was the best part of this book. They're thrown together for a school project with Linda's friend Judy as a nervous mediator, and their relationship becomes closer and more tumultuous in keeping with the general climate around them. They're a microcosm in this horrific world, and their beliefs and perspectives change drastically over time, through each new incident. We get the stories of Sarah's friends too, but she's our center, our connection to these other stories. 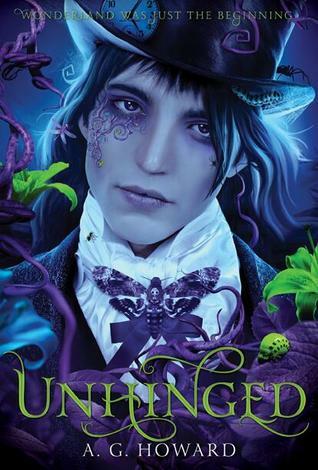 Talley writes a tight, fast-paced narrative that begins tense and escalates to a moment of do-or-die. The ending leaves you bittersweet, knowing that the horror isn't over yet, but at least Sarah and Linda have found themselves in the midst of crisis. If you're a middle class white kid like the chick typing this, you won't have experienced much of what goes on here. But you might have seen it. Perhaps not the extremes--this was, after all, decades ago. But the subtler, more emotional torture forced on the black students by their white peers is far from extinct, and that's perhaps the most jarring part of this book. Its not unfamiliar. It's also incredibly powerful. It's a first-person narrative for both Sarah's and Linda's sections. It brings you into their world in a way that a more distant voice couldn't, forcing you to think their thoughts, see this strange and familiar world through their eyes. Talley's expertise on the time period is clear through her use of real events, slang, and just the general atmosphere of her work. She gives us this Romeo & Juliet friendship story without being preachy or heavy handed--not an easy thing to do with an "issue" book--and manages to make it as much about growing up and finding yourself as it is about the broader societal issues at hand. It's easier to get exaggerated when you're trying to make a point. Talley doesn't make it that easy. We don't get good and evil here. There's more good, more evil, but no one is perfect and even the heroes are broken. Sarah was my clear favorite. The distinction we see between her own narrative and Linda's vision of her is remarkable. Both see her as clever and strong, but whereas Sarah's inner monologue reveals her vulnerability and fear, we see a more fierce, tired version of her in Linda's eyes. A reluctant martyr with a quick tongue and a reckless compassion. Linda was a hard sell for me because she's everything I've hated and feared becoming. She's a blind follower of her father's segregationist talk. She's a product of an environment suffused with outrageous racist propaganda. But she's also ambivalent. She's quietly brave. She resists change, but she finds herself changing without realizing it. And when the chips are down, she's willing to stand up, even if it hurts her. I wish we got more of the side characters. We get their stories too, but Sarah and Linda take up most of the space. One of the best-developed is Judy. Linda's best friend, she's nervously nice to Sarah from the start, but she's also afraid to separate from the crowd. And later on, it becomes clear that she has her own hard-held prejudices too. Sarah's sister Ruth definitely needed more screen time. We get a sense of her determination and her inner vulnerability, but through a narrow lens, especially considering how much Sarah talks about her. Ennis and Chuck were two of the most cheated characters. We get such intriguing glimpses into their lives, but only in slivers. What I really liked was the parents. Both sets are on very different, strongly held sides of the civil rights battle, but both are viewed as demanding by their children. It's a good reminder of what Sarah keeps thinking to herself: she just wants to live. Talley is a talented writer with a gift for accent, slang, and unique voices. She captures the sixties Southern twang without sounding like a caricature, but also making it very noticeably different from Sarah's Chicago lingo. She also makes her teenagers really sound like teenagers, and like their own people. Sarah's and Linda's narratives are so distinct, with their own metaphors and turns of phrase. But they both share a true maturity of style and careful use of form. I had no trouble imagining myself into these places with Talley's descriptions. Like I said, it's a weird narrative to get into. You're with Sarah for almost half the book, then Linda takes over for almost a full half, then we get a final chunk that switches between them. It's a little clumsy and it annoyed me to be ripped out of what I'd become familiar with, but it's also important to this story to get both girls' voices. So I'm really torn on what'd I'd prefer. The use of lies and truths for chapter titles is clever and adds to the message of the story subtly. 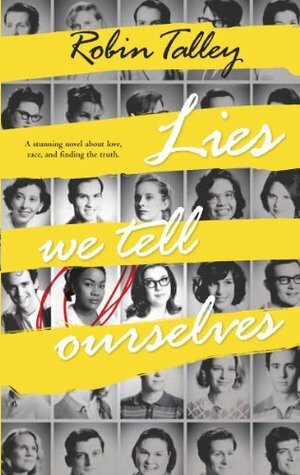 Lies is a brutally honest portrayal of one of America's darkest periods, as the backdrop for two girls' touching story of friendship, love, and self-acceptance.